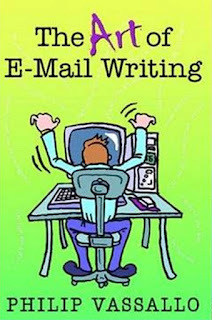 Consider whether e-mail is the best way to reply. ... Think about whether a phone call or a walk down the hall to your targeted audience would be more practical. The executive said, "I try to get my staff not to hide behind email. It's easy for them to fire off at people when they don't have to face them. But when they do see them face to face, they're forced to find a more respectful way to communicate." Several executives have expressed to me the same concern: too often their employees inappropriately use email as a means of attack or retaliation. Remember that email is a tool for communicating information, no different from a memo, letter, or report. It is also a powerful means of building or destroying relationships, so use it for its positive ends. 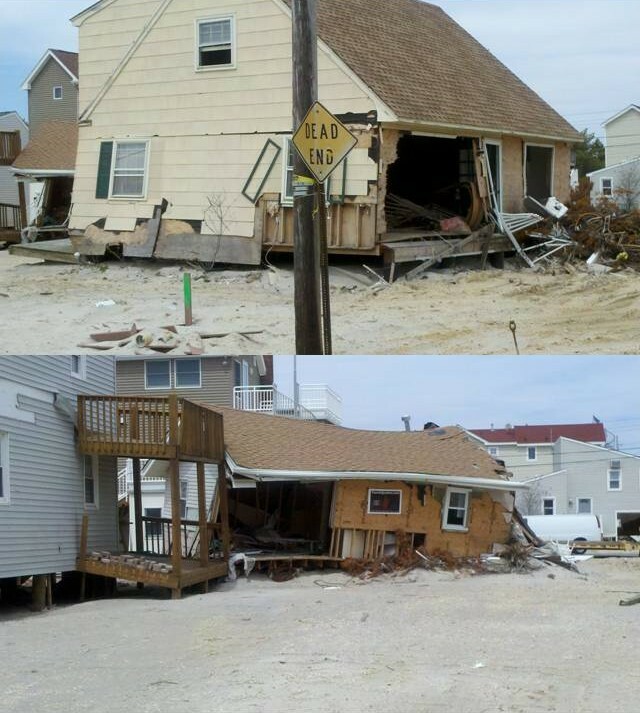 Six months after Hurricane Sandy devastated so much in its path from the Greater Antilles to the United States northeastern seaboard, I visited Long Beach Island, New Jersey, which was especially hard hit by the superstorm. 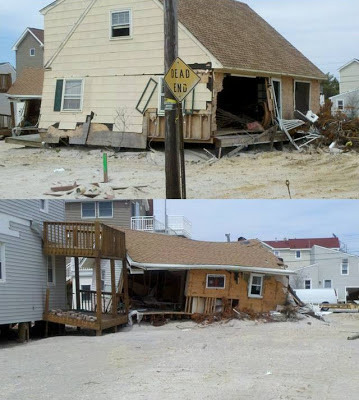 These images of Holgate, the southernmost town on the island, hardly begin to tell the story of the havoc wreaked by a Category 3 storm with 115 mile-per-hour winds traveling across countries and 1,100 miles and causing sea surges as high as 32 feet. The death toll of 285 and assessed damages of $75 billion are likely underestimates considering the population density and property values in the affected region. Reflecting on this tragedy reminds me of the healing power of writing. I go into some length about this point in the final chapter of my book How to Write Fast Under Pressure, relying on the wisdom of Matthew J. Loscalzo, the Executive Director of Supportive Care Medicine for City of Hope in Duarte, California, and a leading authority on pain management and palliative care. Loscalzo does not believe that time heals. “Sometimes, grief can never be lessened,” he says. Experience tells me writing can tap into the executive function of the brain. “Writing is a way of fueling the executive function,” Loscalzo concludes. I have found writing helpful to me in dealing with the loss of many loved ones, including my parents. Writing has also enabled me to manage my emotions over disasters that have struck close to home, such as the September 11 terrorists attacks. So writing can serve as a positive force not only in moments of anger as well as despair. If for no other reason than to tap into unproductive, negative, or paralyzing emotions, try writing. A friend from Beijing told me about an interesting workshop she attended while on a business trip to New York with executive MBA students from Peking University. The workshop, held at Carroll Music, concerned the improvisational skills needed to succeed in business. The model for this premise was jazz. During the program, students listened as jazz musicians improvised on standard tunes and later discussed how they connect intellectually and emotionally to make spontaneous music. All of this was music to my ears for three reasons, all of them having to do with professional development. First, I frequently listen to live jazz music with family, friends, and colleagues at New York clubs such as 55 Bar, Arthur's Tavern, B.B. 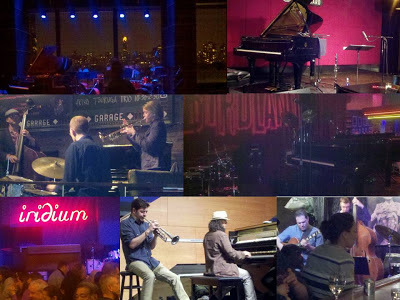 King Blues Club & Grill, Birdland, Blue Note, Cornelia Street Cafe, Dizzy's Club Coca-Cola, Fat Cat, Garage Restaurant, Iridium, Jazz Standard, Smalls, Smoke, SOBs, Village Vanguard, and Zinc Bar. (Who said jazz is dead?) Listening to the magic that jazz artists create during live performances serves as a reminder that the old can be made new and that thinking in any discipline needs a regular refreshing. Second, businesspeople can learn all they want from books and videos, and webinars, which is a good thing, but it's not enough. Conferencing with superiors, peers, and subordinates, as well as with clients and vendors keeps executives aware of their purpose and audience's concerns--and enables them to be responsive to those concerns. Jazz is all about being off-book, reflecting spontaneously and even serendipitously on new ideas, and moving with others in exploring them. Third, writers need to generate words, which is not always an easy task. The free form of jazz suggests that writers do not need to make every word count in the first draft. Just go with your thoughts. Lower your tolerance for errors. Improvise. Only you will see your first draft. You are soloing now, just like a jazz saxophonist. Get all those thoughts down and let the second draft speak more directly to your readers. This technique will help reduce writer's block and generate key ideas. OK, I'll see you at a jazz club. Teachers need to learn. Without taking formal training or education classes at least once a year, I think I would feel as if I'm losing touch with my profession. Of course, I can't know that for sure, because I have never let that much time pass without learning in a structured context, either through courses at the American Management Association, where I am a resident course developer, through local universities or training institutes, or through online educational services that I mentioned in a previous post. So I take these courses to keep fresh in my mind what it feels like to be in the learner's seat and to be evaluated. 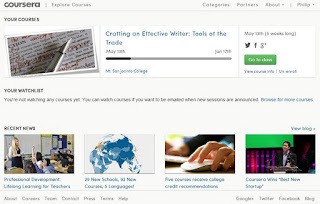 The course I just signed up for is Crafting an Effective Writer: Tools of the Trade, given by Coursera. 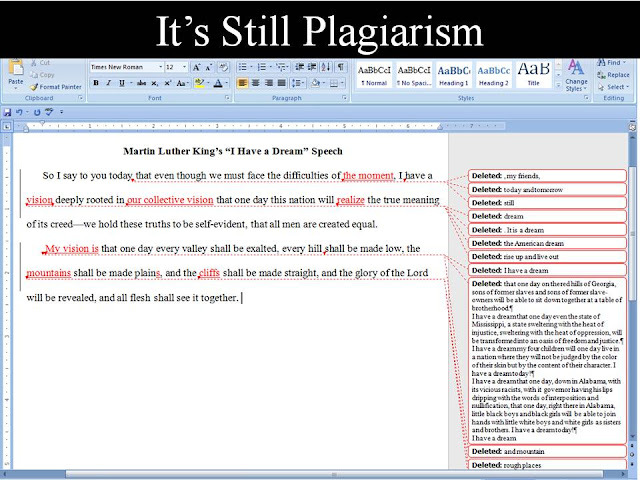 It focuses on the parts of speech and requires writing assignments, peer participation in a bulletin board-type portal, and peer review of writing assignments. Is it a waste of time to take a course whose content I already know? Absolutely not. I'll be looking for new viewpoints and approaches to the content. Be on the lookout for free educational opportunities, which abound on the internet. Here's to your learning. Not all professors believe in using PDSs. The Conference on College Composition and Communication (CCCC), a division of the National Council of Teachers of English, has established a position against its use. In Intellectual Property-Related Motion at the CCCC Business Meeting, the CCCC asserts that using a PDS creates a hostile learning environment that inhibits a writer's development and shifts the responsibility of assessing writing from teachers to technology. We can argue these points forever, but one of the CCCC's resolutions seems fair: schools using a PDS should encourage students to submit their drafts to the service before submitting the final version to their professor. 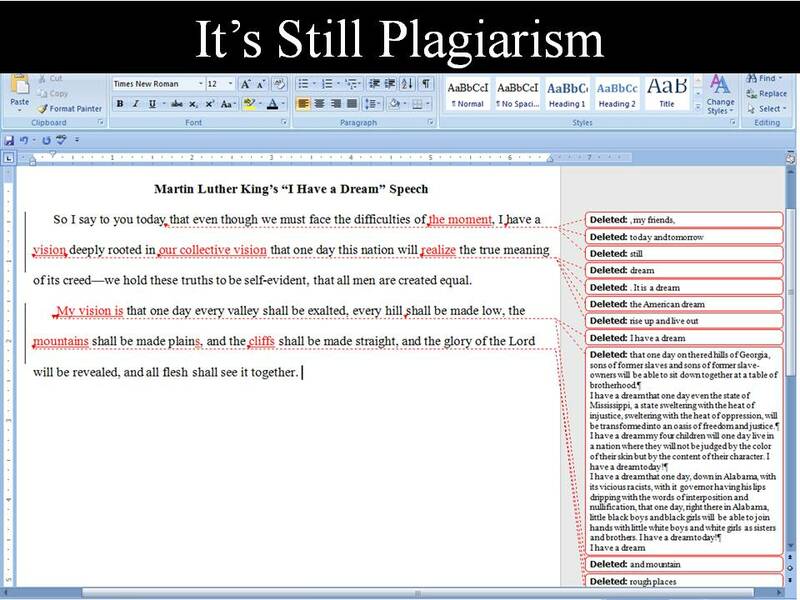 This sensible response will ensure that students are educated about the limits of intellectual property and about their ethical obligations as writers.